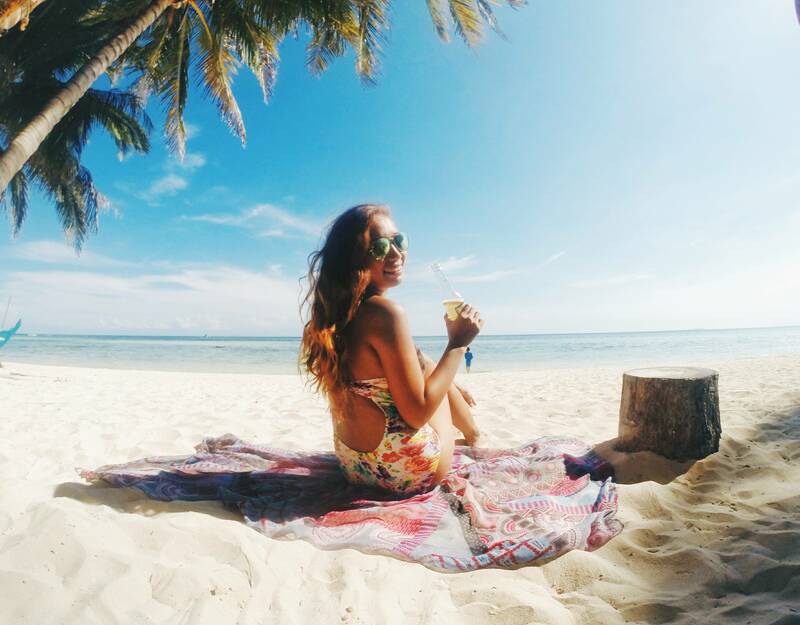 This was taken at pier3 in Cebu. 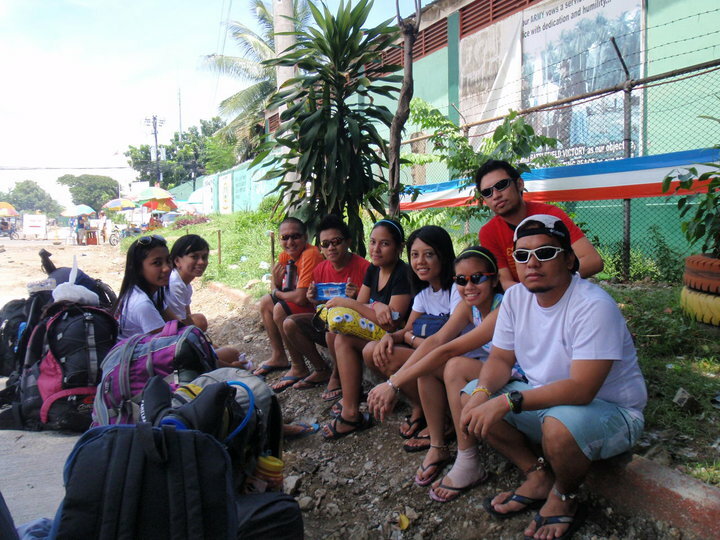 We were waiting for our 1:30 trip to Tubigon, Bohol. We took first our lunch here. In the picture are our friends from IMS and Abby's race teammate in Ormoc. 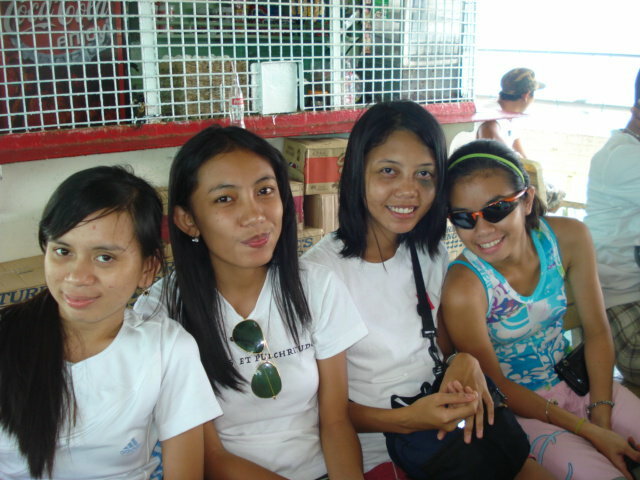 At the boat on the way to Bohol, with Laarni, Ate Cindy and Abbz. 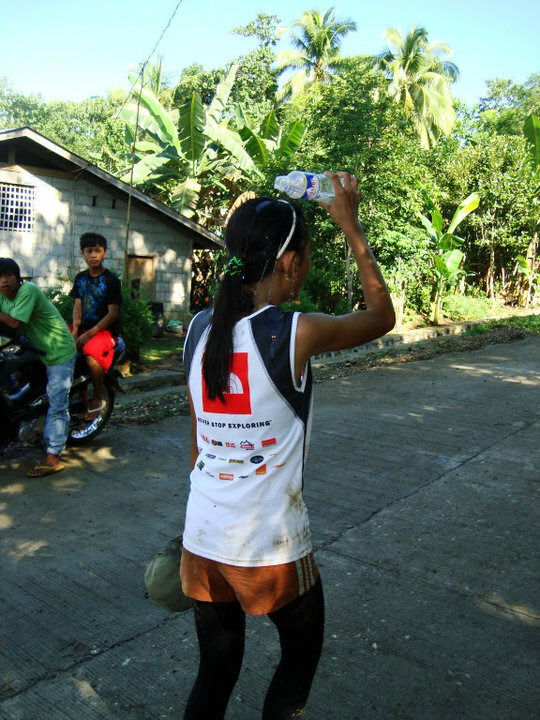 We went together with Merlita Arias-Dunkin, a Filipina skyrunner record holder in Mt. Kinabalu, in a jeepney ride heading to Danao, Bohol. This was taken at the Municipal Hall of Danao. 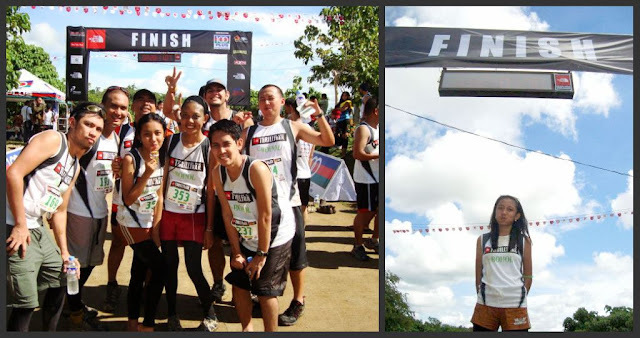 After arriving at the Municipal hall in Danao, which was the starting line of the race, we went to EAT Danao, the main venue of the event and camped there over the night. 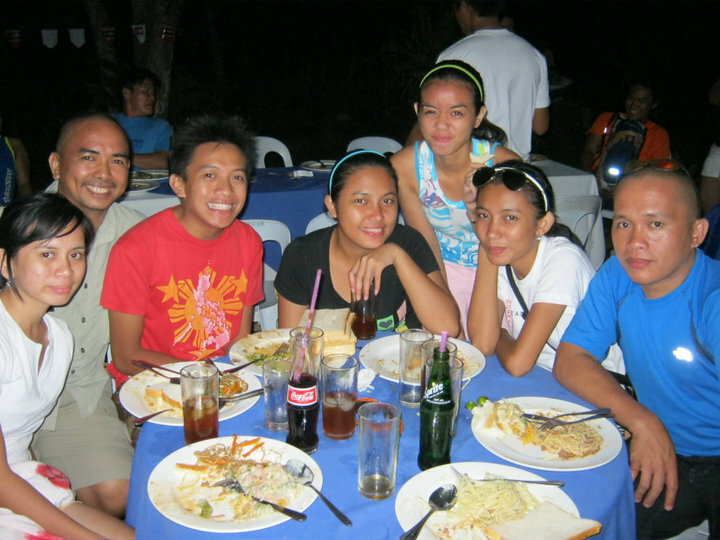 This was during the carbo-loading the night before the race. We woke up at 3am but still caught up the last call of the trip going back to the municipal hall. 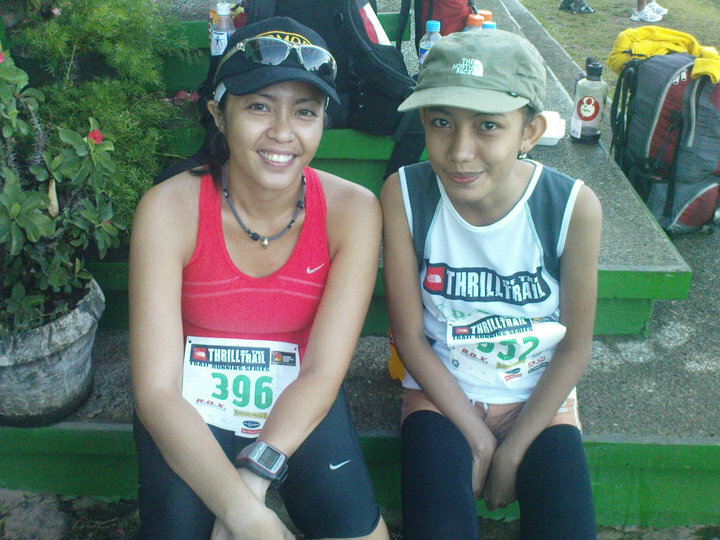 Haidee Acuña, TV patrol Cebu news anchor, was with us on our ride towards the starting line. Stretching ourselves up before the race has started. 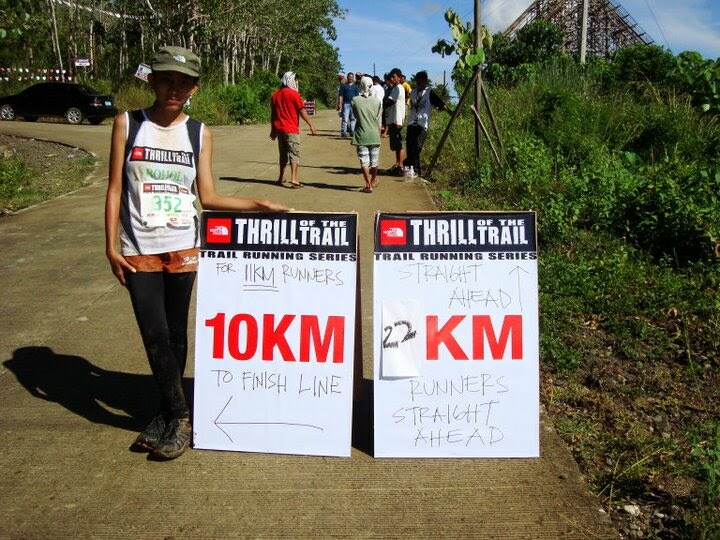 Dax Ang, the race director gave his last briefings and instructions of the race. A photo op with Ms. Haidee Acuña herself. Then the guntime was shot. 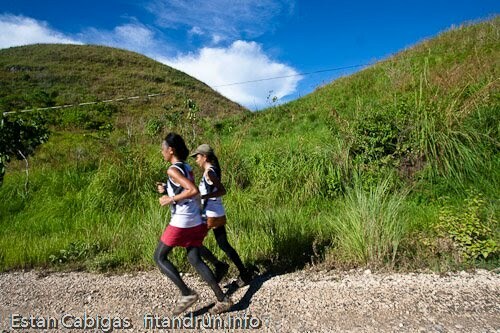 We run a 600 meter stretch on the road then reached the first trail. This was a single track trail. 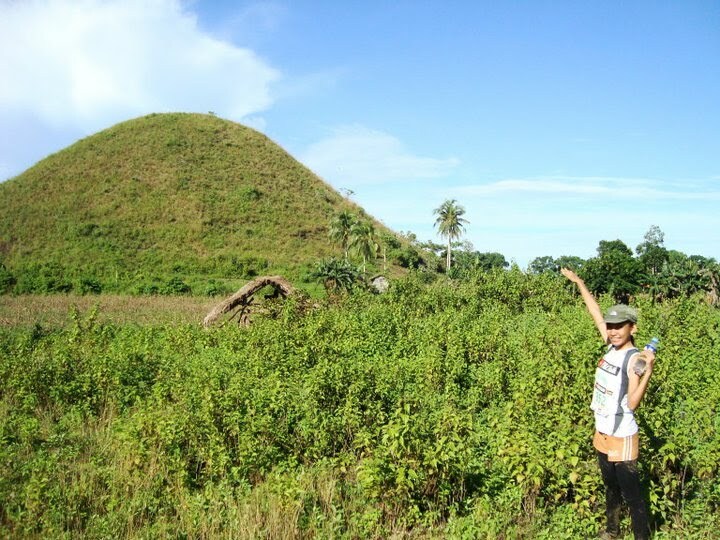 Credits to Mr. Estan Cabigas for this photo. Perfectly shot. 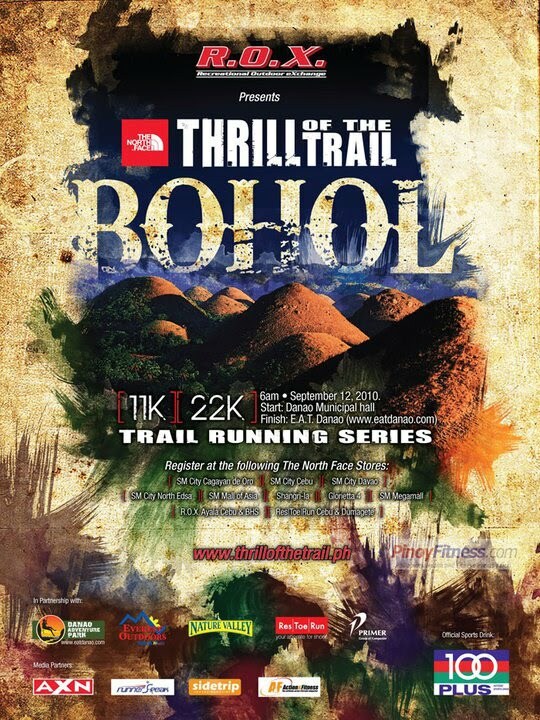 Running at the foot of the chocolates hills. 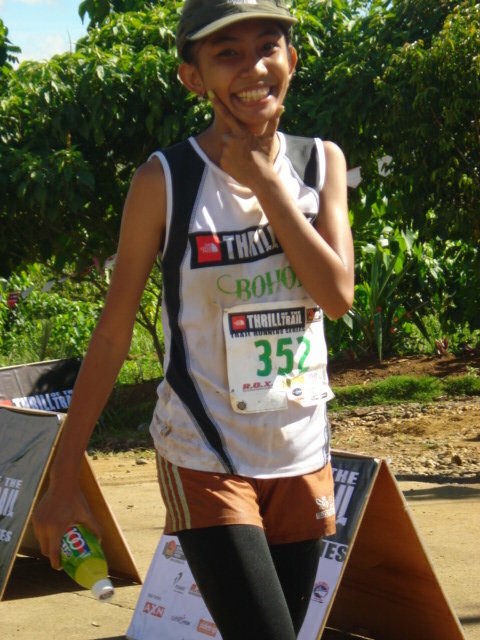 Got a help from one of the ungo runners in sunstar Cebu. This part was a very slippery downhill. This was the last of the three rivers we crossed. 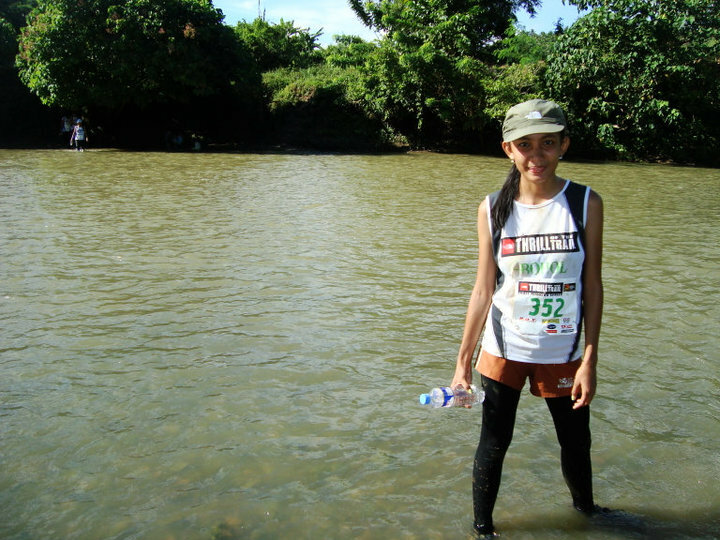 The current was quite strong due to the rain that poured the night before the race. We ran passed some rice and corn fields. At the 1km stretch towards the finish line. This was the part where I felt very tired. I motivated myself that the finish line was just 10 steps away.